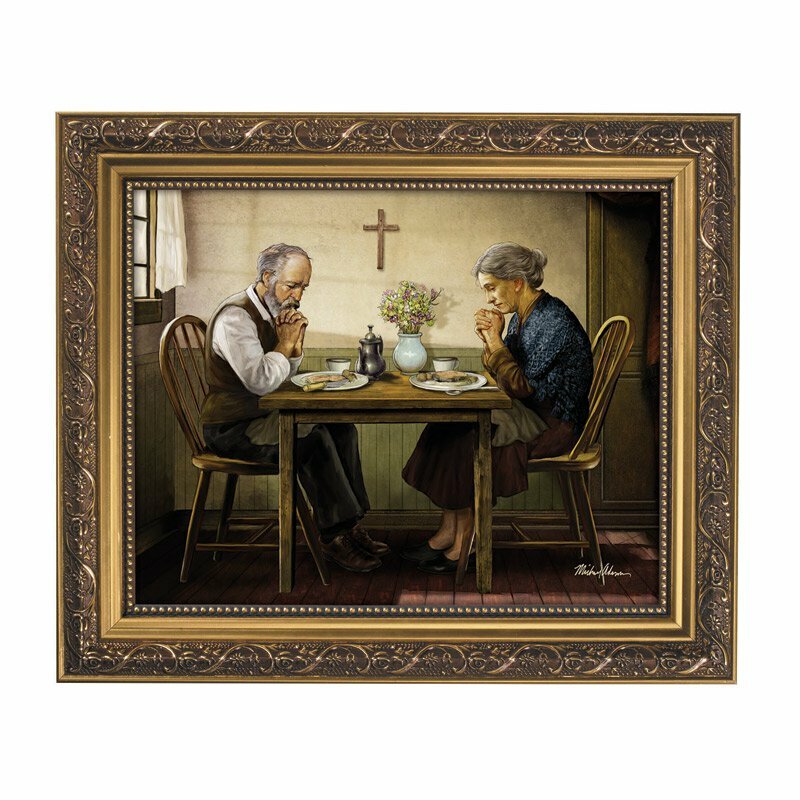 This exquisite masterpiece by Michael Adams calls to mind Millet's The Angelus and Grace, prints that have graced countless dining rooms across America for decades. In his evocative Thanksgiving, Adams captures both the strength and the peace that can be found in a simple, humble prayer of gratitude. Our series 79A framed prints feature exclusive art with an ornate gold finish frame. Includes easel back and metal hanger for wall mounting. Boxed.